IBM (s ibm) has been selling its General Parallel File System to high-performance computing customers for years (including within some of the world’s fastest supercomputers), and in 2010 it tuned GPFS for Hadoop. IBM claims the GPFS-SNC (Shared Nothing Cluster) edition is so much faster than Hadoop in part because it runs at the kernel level as opposed to atop the OS like HDFS. 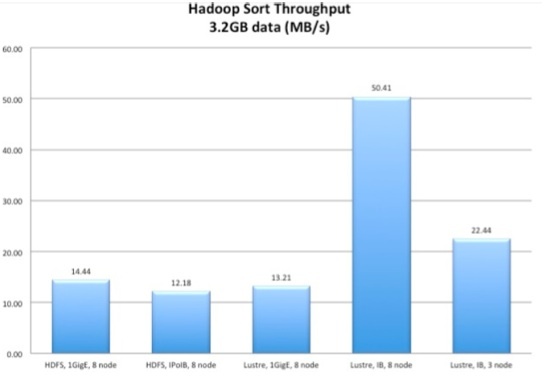 EMC (s emc) has offered its own Hadoop distributions for more than a year, but in January 2012 it unveiled a new method for making HDFS enterprise-class — replace it with EMC Isilon’s OneFS file system. Technically, as EMC’s Chuck Hollis explained at the time, because Isilon can read NFS, CIFS and HDFS protocols, a single Isilon NAS system can serve to intake, process and analyze data. OK, the NetApp Open Solution for Hadoop isn’t so much an HDFS replacement as it is an HDFS improvement, according to NetApp and early partner Cloudera. 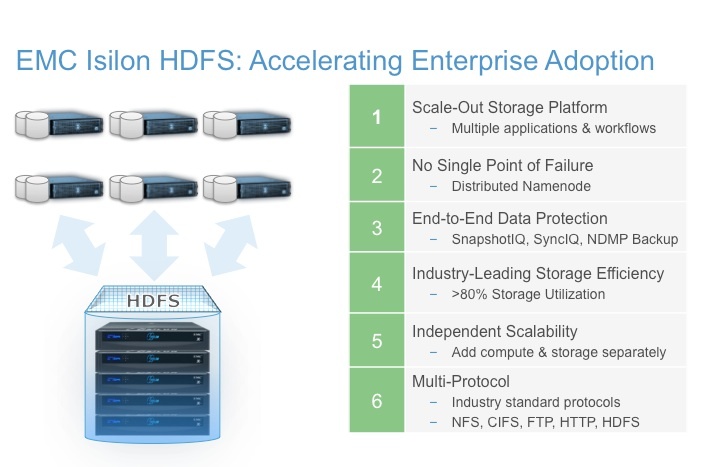 The offering still relies on HDFS, but it reenvisions the physical Hadoop architecture by putting HDFS on a RAID array. 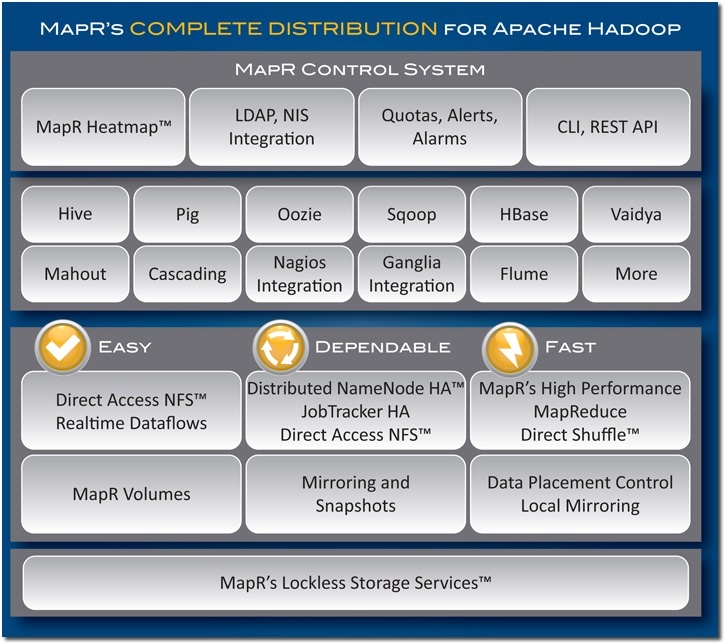 This, NetApp (s ntap) claims, means faster, more reliable and more secure Hadoop jobs. Feature image courtesy of Shutterstock user Panos Karapanagiotis. The ParaScale distributed storage and computation platform perhaps deserves a mention here too as one of the early vendors that integrated Hadoop into the platform and submitted the filesystem plugin to the open source community back in 2009/2010 time frame. The ParaScale filesystem provided fast parallel ingest via standard NFS protocol, full read/write POSIX semantics, a distributed and replicated object store, global namespace, and many other enterprise features. Hitachi Data Systems acquired ParaScale in 2010. I think that it is disingenuous to propose expensive proprietary solutions as alternatives to an open source solution. Perhaps a more valuable article would be to propose open source alternatives instead. At Zoosk, we used http://www.dynamicalsoftware.com/nosql/solr instead of Hadoop for the implementation of our activity feed. The Apache Solr project is our open source alternative to Hadoop. I think it depends on your use case. If you’re a Fortune 500 company, you might want to pay for performance, reliability, etc. And some alternative, such as Gluster (mentioned in comments), are open source but vendor-backed. Looks like most of the alternatives being promoted are highly expensive proprietary hardware based storage vendors who are feeling threatened by the RISE OF HDFS and crying wolf. Everyone knows that HDFS has its flaws but the benefits outweigh the drawbacks. It has got huge traction and in a few years will be the most dominant technology for data crunching. It is important for the storage vendors to re-invent themselves and not fight for a piece of the hadoop pie. That will mean slow decay for them. 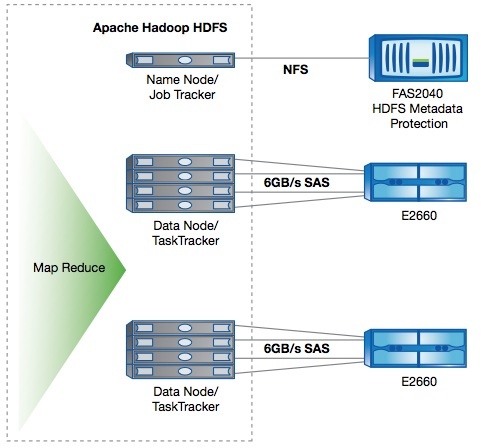 I’ve blogged my thoughts on HDFS vs other systems on the Hortonworks website. 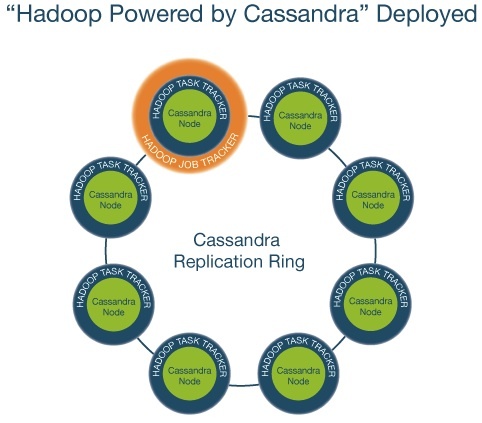 I saw your post, and Charles’ (from Cloudera) post. I think you’re both probably right that HDFS wins out in the end. By percentage, it’s probably very dominant now. But there will always be people looking for alternatives. if you want to try out Lustre on cloud clusters for yourself. We wanted to make a sandwich/toast with HDFS, but could not. We had to design our own toaster. So is this a problem with HDFS? Great list of alternatives. I wonder how Microsoft’s Storage Spaces will compete? GlusterFS, and by extension Red Hat Storage, have a drop-in compatibility library today that allows you to augment or replace HDFS. The win for customers is that they have a unified data backend they can access either via hadoop operations or via traditional NAS methods, ie. NFS or the GlusterFS client. OpenStack Object Storage deserves a mention in this list. The Hadoop implementation for OpenStack removes the NameNode requirement and streams data directly from the object-store to compute memory (no staging on local disk required). The real significance here is OpenStack Storage has already been implemented at HP, Rackspace, and SoftLayer (among other IaaS providers) and can be deployed privately in the Enterprise. Hadoop projects that are started at small scale in these public clouds can easily be migrated in house. 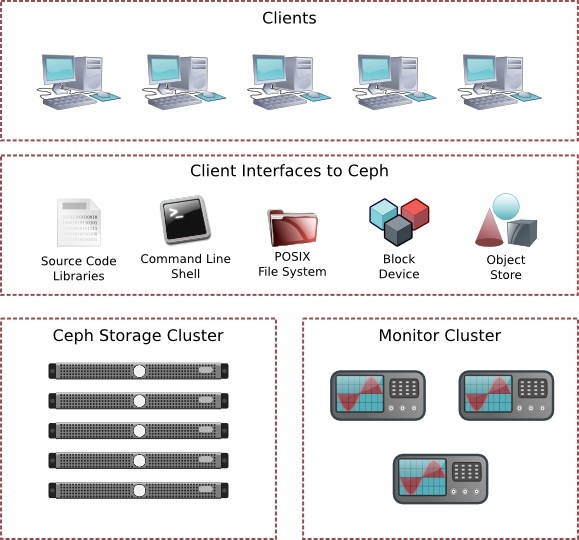 Similarly, an in house implementation can easily be extended to these providers for easy access to additional storage and compute resources. Good call. I didn’t realize OpenStack has an HDFS implementation.